My friend Sarah had arranged to show me the former Swedenborgian Chapel in Norwich, which is not far from her house, and is owned by people she knows. On the way, we passed this big suburban Methodist church of the 1930s. She had assumed I had already known about it, but the suburbs of any city can be full of surprises. It was locked, of course, because there is no liturgical reason why a Methodist church should be open outside of service times, but the board on the wall suggested that this was a busy place, with lots going on. I pressed my face against the glass entrance doors to see inside, and this was when I got my really big surprise. There, at the far end, above the holy table and the dias, was a huge window which was instantly recognisable as being by either Christopher Webb or his pupil Francis Skeat - on reflection, I incline towards the latter. St Peter is one of many Methodist churches built in England in the years just before and after the Second World War. The three main streams of Methodism came together to form a single denomination in 1932, and, as Methodist communites combined and settled together, they found they had a surplus of buildings on their hands. However, the new Methodism also gave them the confidence to focus their resources where they were needed, and it was a combination of these two trends which led to this chapel being built here, just off the Earlham Road. The community had started in Lady Lane in St Peter Mancroft parish, now somewhere under the Forum, where a Wesleyan chapel was opened in 1824. 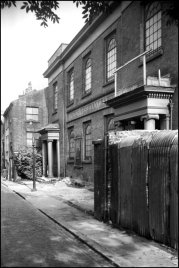 It was known as St Peter's Wesleyan Chapel from the name of the parish. By the end of the century, the increasing profile of Wesleyanism in what is, above all others in England, a non-conformist city, gave it the confidence and energy to open a daughter chapel out in the western suburbs. 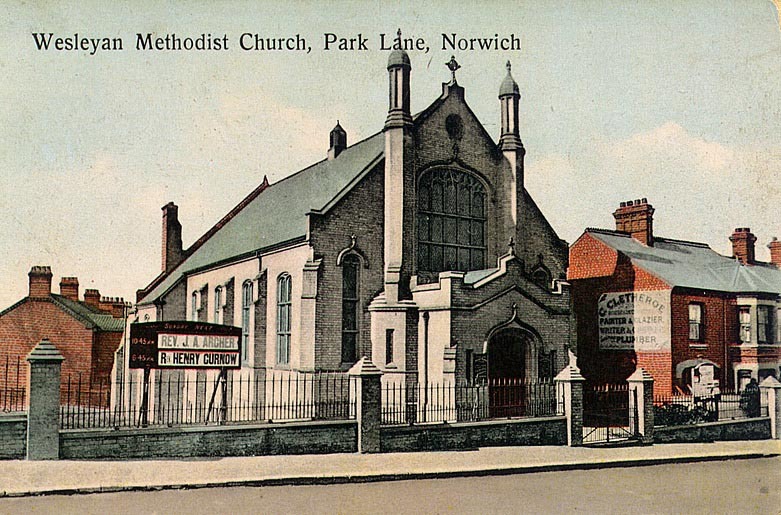 Park Lane Wesleyan Methodist Church opened in 1894, and soon developed into a separate community of its own. By the 1930s, even before the destruction wreaked on the city by German bombs, it became clear that the Norwich Corporation was about to undertake a massive redevelopment of the area to the west of the Market Place. They began buying up parcels of land, including the Lady Lane chapel school, and as the St Peter Mancroft parish rapidly depopulated it began to make sense to bring the two churches back together, and build a large new church on a new site somewhere. It became possible to do this on the empty land immediately to the west of Park Lane chapel, and so in September 1939 this fine building was opened, combining the names of St Peter's Chapel and Park Lane Church. 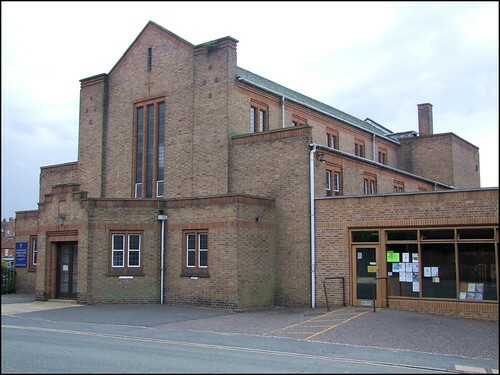 It was built to the designs of the architect Cecil Yelf, himself a Norwich Methodist. 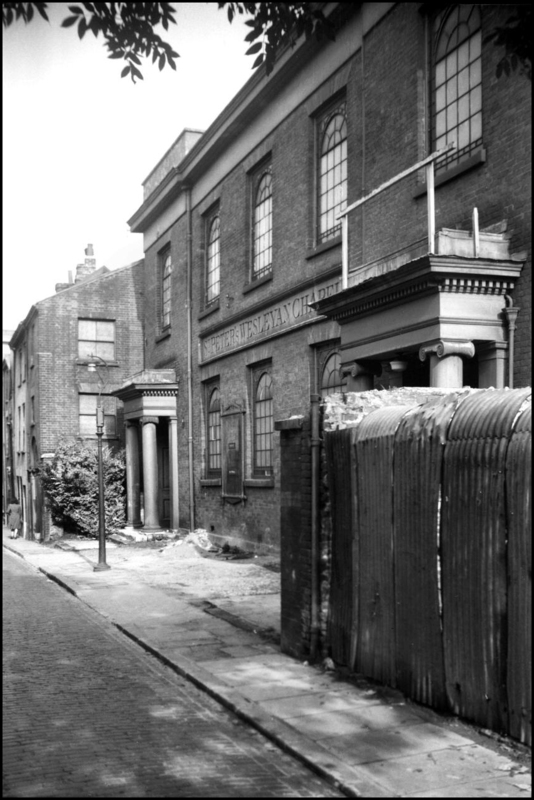 The Lady Lane chapel was eventually demolished in the 1950s in preparation for the the building of Norwich's ill-fated central library. 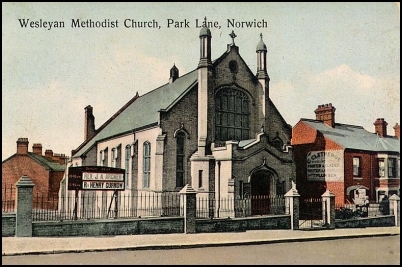 The original Park Lane church continued in use as a church hall, to be largely rebuilt in the 1960s. A curious legend has grown up about the opening of this church, which I heard quite separately from several different sources. The first day of the Second World War, 3rd September 1939, was a Sunday, and Prime Minister Neville Chamberlain announced that Britain was at war with Germany at midday. By coincidence, I heard, this was the opening day of St Peter's Park Lane, and the congregation had gone into the opening service at eleven o'clock with Britain at peace, only to come out again at half past twelve to find it at war. It seemed an exciting, if slightly inauspicious start, and a good story. Slightly disappointingly, I found it was not exactly true: in fact, the building was opened and dedicated four days later, on the evening of the 7th of December. But certainly the outbreak of war overshadowed the excitement of that new beginning. And the window? I have been unable so far to find out anything about it. This chapel has an excellently documented history, but nobody at the church now seems to know who the glass was made by. It does not appear on the lists of major works by either Webb or Skeat, and yet I am sure that it must be by one or the other, and as I say, I incline towards Skeat. It depicts Christ in Majesty flanked by St Peter and St John. Below is the Lamb of God, and beneath that a typical Skeat scene of Christ meeting the Disciples on the shores of Lake Galillee. It is magnificent, and deserves to be far better known. Another good story about St Peter's Park Lane is recounted in A Church for All Seasons by Joan and Jim Beckett, a little book about the Church published in 1975. One of the congregation in the 1950s was Lord Mackintosh, the millionaire owner of Norwich's largest chocolate factory. He was also charged with the responsibility under the Conservative government of Harold Macmillan of overseeing the introduction of Premium Bonds in 1956, which many Methodists frowned on as a form of gambling. The minister of St Peter's at the time got up a petition against the bonds. Mackintosh later recalled in his autobiography that, on shaking hands with the minister in the porch after a Sunday service, he had smiled wrily and said "I'm sorry that I won't be able to sign your petition". Mackintosh noted that the minister smiled too, and I had a sudden moving feeling that England was the best of all countries to live in. My grateful thanks to Keith Poltock of St Peter's Park Lane, for his assistance with this entry.